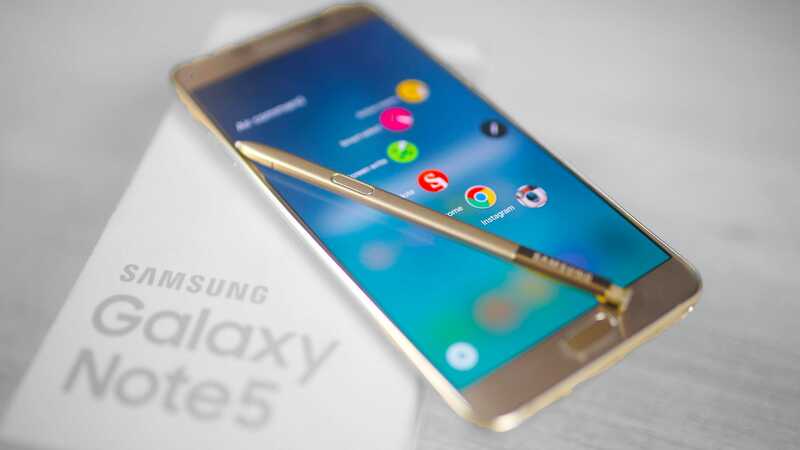 The Note 5 from Samsung Galaxy is a sleek smartphone with a jumbo sized screen and equipped with a stylus. It has a great battery life, a new stylus and a powerful camera. However, the battery cannot be swapped and storage cannot be expanded. The Note 5 is offered in colors, such as gold and silver as well as white, sapphire black and it is quite expensive. The 64 GB version is around $800, with the 32 GB version costing around $700. The Note 5 has a 5.7 inches display with a resolution of 2560 x 1440 pixels and a pixel density of 518 ppi. It is made of metal combined with glass and has dimensions of 6 inches x 3 inches x 0.3 inches (l x b x h). It weighs 171 grams. It is a large device, but a slim one. The home button is also the fingerprint reader along with the callup feature for Google Now ( done by pressing and holding the Home button). The stylus is now all new and now makes an audible click when placed in the holster. However, it is slightly difficult to tease the pen out of its snug fit. You can use for writing, as a pointer and for navigation. For instance, the stylus can be used for pulling up the menu dialog boxes, viewing a photo or a video by hovering over the image with the pen and so on. You can capture screens and use it for other touch sensitive features as well, such as dragging text or dropping it. The Air Command is an icon in the revealing a circle of the most frequented apps, such as the S Note, photo gallery and so on. However, you can turn this feature off and customize it with apps according to your usage. It is a floating icon that responds efficiently. Also, it will respond only by use of the S Pen, so it doesn’t get in the way while the user taps or clicks on the screen. The Instant memo is another feature allowing you to create sticky notes or action memos, inspite of the screen being turned off. It works only if you have just pulled out the S Pen, not if the stylus has been out for some time. It is useful for quickly jotting down a note. The scrolling capture feature in the Note 5 allows users to capture greater sections of the screen and also make annotates on your screenshots. The Note 5 is powered by Android, 5.1 version Lollipop and layered with Samsung’s proprietary TouchWiz interface. This offers greater customization, such as a quick access toggle and features connected with the S Pen and so on. The Note 5 is excellent on the whole, especially as it is the only smartphone that allows you to write by hand. Its stylus makes it distinctive, which offers a functional benefit compared to other big screen smartphones. However, users must be ready to pay a large premium for an upgrade this year. The Note 5 has no Micro SD expansion slot. An expensive white elephant. The Note 4 is much more versatile if you need storage. Suggest a Note 4 for those in need now. Or better yet wait for the new Note 6 or 7. They are reported as awesome.